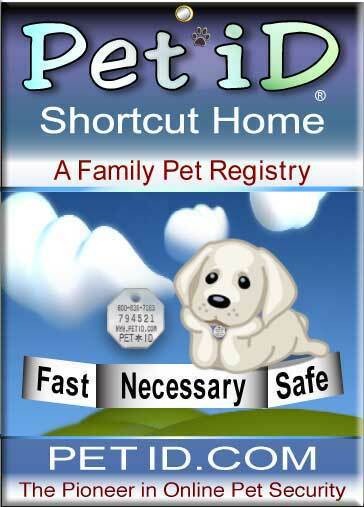 First: You purchase Pet*iD at a retail store or here on this page. You have two choices: 1-Year Service or a Lifetime Service. 1-Year Service: $9.95 for the first year of service, then $9.95 annually. * You will receive your new Registration Kit in few days. * You will need to return to this site, and setup your new Pet*iD Registration number. •*• You will need to enter your current Pet*iD Tag number during checkout. This is necessary to update your account. Forgot your tag number? Find it here! You do not need a PayPal account to use your Credit Card! What is the Pet*iD Service?